Detroit’s Octavio Dotel usually wrecks havoc on right-handed hitters like Canadian-born Marcus Knecht, but on April Fools in a 2012 Jays Spring Training game Toronto’s 2010 third-round draft pick had the last laugh by blasting his first Grapefruit League home run off the veteran Dominican bullpen specialist. launch a home run off Octavio Dotel in a 2012 Blue Jays Spring Training game on April 1st. Originally selected in the 23rd round of the 2008 Amateur First-Year Draft by the Milwaukee Brewers after making Langley, British Columbia’s Brett Lawrie their first-round pick, former Brewers scouting director and current Mariners General Manager Jack Zduriencik thought that a common denominator of Canadian blood would add up to two of the country’s finest prospects crossing the border together as one into Wisconsin. Mathematicians would agree that the strategy was logical since Knecht was Lawrie’s teammate on the Canadian Junior National Team, and the Brewers believed that Lawrie might be able to influence Knecht to sign with Milwaukee. Lawrie signed with the Brewers for a $1.7 million signing bonus before going to play for Team Canada in the 2008 Olympic Summer Games and eventually became a Blue Jay in a late 2010 trade for pitcher Shaun Marcum (who recently became a free agent and expressed interest in returning to the Blue Jays if the team is interested in having him back). 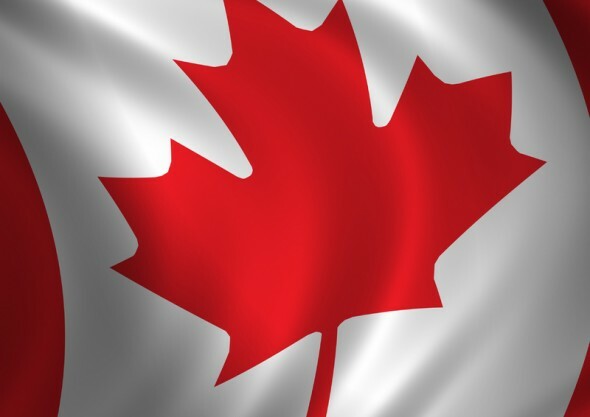 Unlike Lawrie, Knecht instead passed on the offer to play professionally in the Brewers organization in favor of perfecting his game in U.S. collegiate ball while continuing to represent his country on Team Canada in international baseball competitions worldwide. 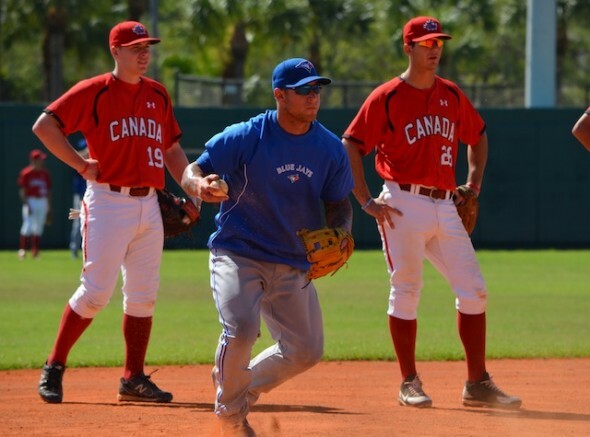 After playing on Team Canada in the 2008 World Junior Baseball Championships in Edmonton and being named to the Tournament All-Star Team, Knecht was a major contributing member of the bronze medal- winning 2010 Baseball World Cup team and the gold medal-winning 2011 Pan American Games squad. Transferring from Oklahoma State University, where he struggled to get at-bats as a freshman, to Connors State College was instrumental for Knecht to develop in an everyday role in 2010. The results were off-the-charts as Knecht hit .453 with 23 homers, 20 steals and a .540 on-base percentage. He was selected in the third-round of the 2010 Amateur First-Year Draft by the Toronto Blue Jays after being followed by ex-Jays’ scouting director and current assistant GM Andrew Tinnish. Accepting a $250,000 signing bonus, Knecht signed on-the-spot with Toronto and went straight to work in launching his pro career with Short-Season Single-A affiliate Auburn Doubledays (now affiliated with the Washington Nationals). After being voted the Canadian Baseball Network Player of the Year in 2010, the six-foot-one North York, Toronto native outfielder was promoted in 2011 to Single-A Lansing, where he posted a .273 average with a team-leading 16 home runs and 86 RBI for the Lugnuts. Knecht’s offensive power was noticed early on, and he was named a 2011 Midwest League Eastern Division All-Star. 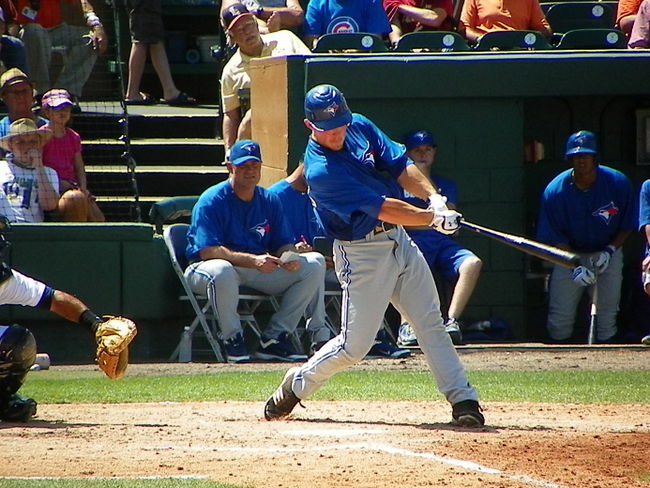 After impressing Jays skipper John Farrell (now with the Boston Red Sox) with his powerful bat and quick feet on the field during 2012 Blue Jays Spring Training, Knecht was assigned to Single-A Advanced Dunedin Blue Jays. It was May Day everyday for opposing pitchers who could not stop the red-hot Knecht during the month of May, when he rattled off 28 hits (including 7 doubles, 1 triple, and 6 home runs) accounting for 22 RBI. The 22-year-old is hoping to continue with his offensive prowess and defensive excellence as a member of the Australian Baseball League’s Canberra Cavalry. 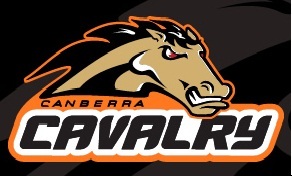 Second only to last season’s ABL Champion Perth Heat in team offense and pitching, the Canberra Cavalry narrowly missed the ABL playoffs. With the injection of Knecht’s “Can Do” attitude, Canberra will be charging right out of the gate for a 2013 playoff berth.